FOX news features Elements Naturals®. watch here. Must Haves - Styled by Elements Naturals®. Featured in the September issue of Pregnancy Magazine. read here. Elements Naturals on triplepundit.com. "All else being equal, if you had the choice of using an oil-based product or a compostable, renewable plant based product on your baby’s delicate skin, which would you choose?" read here. Elements Naturals makes the "A List" in Pregnancy & Newborn magazine. Pick up the April issues today! read here. NextNineMonths.com - "When it comes to dirty diapers, there are baby wipes and then there is this one." read here. 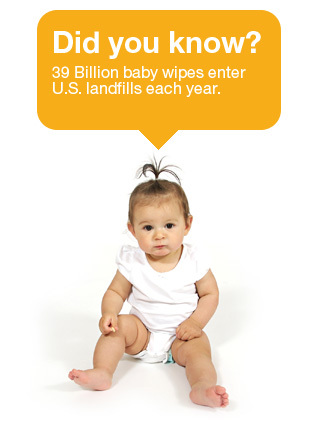 A kinder Clean - 100% compostable and biodegradable wipes. If you are interested in seeing more great press about Elements Naturals®, drop us a line. Bundles of (Green) Joy. Elements Naturals gets a nod from San Francisco's Eucalyptus magazine read here. A Time Out For Mom. "Cloth diapering has many purposes and one of them is to minimize waste. Why not do the same with wipes? By using Elements Natural Wipes, you are taking one step towards minimizing your own waste that just SITS in landfills and does not break down."